The 5-inch diameter Ranger has rigid sides, three pockets, padded strap and even a towel ring. 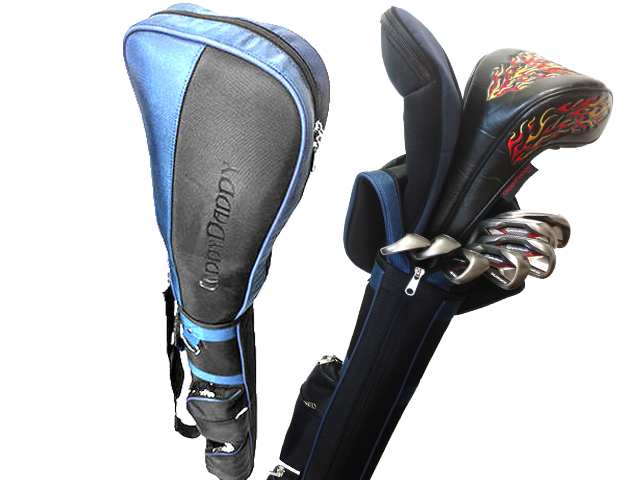 The zippered padded top is attached and protects the clubs if you’re caught in the rain or when checking it at the airport. What more could you ask for? The price is $49.99 at CaddyDaddyGolf.com and they offered free shipping plus a one-year warranty.